Premier League Results: Score, Match Analysis and Highlights from the Fixture between Wigan Athletic vs Newcastle United on Sunday, March 17, 2013. Includes Video Highlights for U.S. viewers (as available). Perhaps this is the time when Wigan really starts their run to get out of the relegation battle. To start the day Wigan sit in 18th place on 24 points (having played 28 games) while Newcastle were in 14th place on 33 points. Wigan had the better chances in what was otherwise a rather even first half. They were the ones to get the first goal and take a 1 – 0 lead into the half. Callum McManaman should have been sent off for a very dangerous tackle on Massadio Haidara (who was stretchered off and substituted). This even led to the Newcastle assistant confronting McManaman at half time. Both teams knew they had everything to play for in the second half and Newcastle should have taken the lead several times with Papiss Cisse missing some absolute sitters. They did finally get the breakthrough in the 72nd minute through Davide Santon. From Newcastle’s goal on there was nothing but end to end action with both teams pushing for the win, and both teams needing the win. 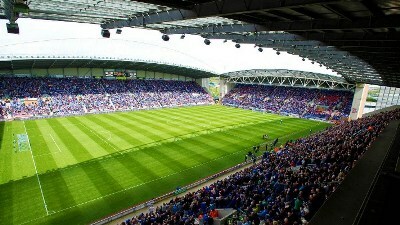 In the last minute there was more controversy when Arouna Kone turned in Wigan’s corner amidst shouts for a hand ball. Wigan’s win goes a LONG way to helping them get out of the bottom. They remain in 18th place in the relegation zone on 27 points, but they do have a game in hand and are 3 points behind Aston Villa. the loss for Newcastle means that they remain in consideration for the relegation battle and stay in 14th place on 33 points.